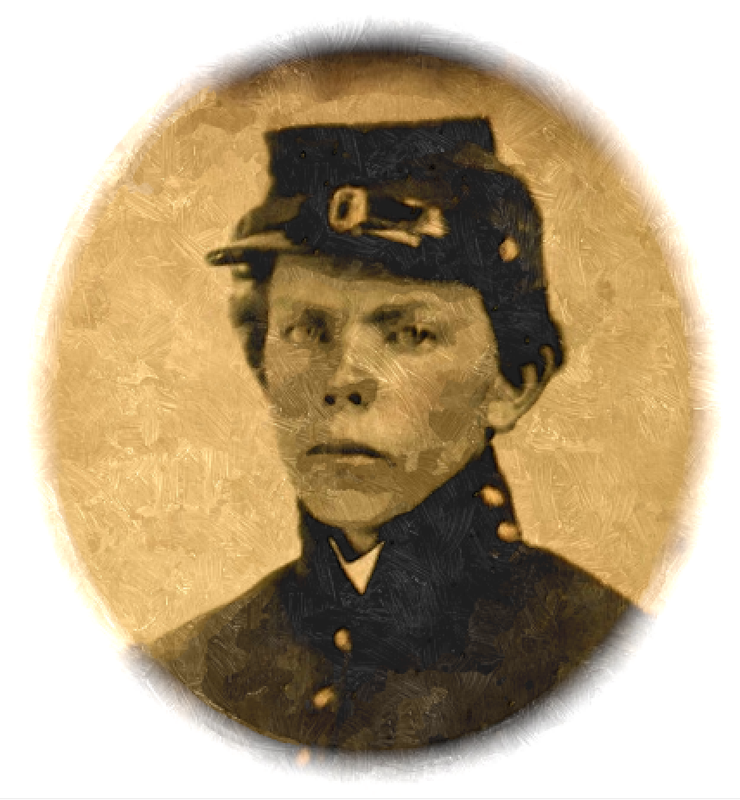 This letter was written by Corp. Henry (“Harry”) Clay Ridgway (1845-1877) who enlisted on 16 September 1864 in Philadelphia, Pennsylvania, to serve one year in Co. E, 199th Pennsylvania Volunteers. Harry was the son of Charles Winkler Ridgway (1817-1854) and Mary Ann Smith, or Schmidt, (1816-1892) of Philadelphia Ward 6. Harry never married and died at the age of 32 in Philadelphia. In the 1870 Census, Harry was enumerated at his mother’s residence (age 25) and unemployed. Income for the family appears to have been supplied by his older brother Charles — a tobacconist, and younger brother Walter — a bookkeeper. Harry’s health may have been impaired by his wartime experience. From this letter we learn that Harry deserted not long after his enlistment but he was either rounded up by the provost marshal or voluntarily returned to the service. Your long letter to me dated 9 inst. was duly received and contents read, and you stated you and all the family were well as this letter leaves me. The dollar and stamps were also received. The letter that Charley wrote to me at Alexandria has not been received yet. I wrote a note last week to Capt. Foster, commanding at Alexandria, to send all letters addressed to me at Alexandria to my regiment. The letter to Bermuda Hundred was received by me at the regiment. I will write once a week regular and you or someone of the family the same. I was treated horrible when I left Alexandria for my regiment, as follows. From Alexandria to City Point and then put in the Bull Pen with no shelter and lay on the cold open ground. I laid there from Monday night until Friday afternoon, and then to Bermuda Hundred and then put into another guard house until Saturday at noon, and then I walked from Bermuda Hundred to my regiment — which is ten miles and I nearly gave out with hunger and weakness — under guard. But thank God I am with the regiment now and I will try and bear up with it a year and then no more soldiering for me. Don’t forget the boots and gloves. I was sorry to hear of the death of Ed Ripley but I hope he has went to a better world above. If possible, I would like the boxes sent separately. Give my best love to my dear mother and Charley. The letters are not read. About the pay of desertion, I cannot tell how much will be deducted until I sign the payroll and then I can find out all, which will be soon. We drill 4 times a day. If it is not drilling, why then it is working — sick or well. So you can judge for yourself. The regiment is 1,050 strong. Col. [James C.] Briscoe is a fine-looking officer and in fact, all are nice officers, but strict — which is right. Tell Charley to write to Alexandria also and have those letters sent to me immediately. You had better send those boxes a week before Christmas so we will be certain to get them. No more at present except please answer once a week regular and I will do the same. Goodbye and God bless my mother. Respectfully your brother, — Harry C. Ridgway, Co E, 199th P.V. Col. Briscoe, 10th Army Corps, Washington D. C.
Charley. Give Walter for me something for Christmas. — H. C. R.
Walter’s letter to me, with $5 enclosed, also 4 papers, with 3 cigars enclosed, was duly received, in which he stated that you, dear brother, and all the family, were well, as this epistle leaves me at present. He also stated that $67.50 was the balance due me. If possible, please send me a statement of my whole account. I thought there was at least $100 left yet. Charley, you must not take the above as an insult for God knows that I mean nothing for it’s merely an opinion of mine. The greatest reason of my wanting to know was so I could send more home to be added to the balance, for I know it’s in first rate hands when it’s in yours. Further let me know how business is and how the city looks—especially around the old corners. Charley, our regiment—in fact, the whole division—1st in number, are under heavy marching orders. We have drawn from the cook house 4 days rations and we expect to leave at any moment—the destination unknown, but I think we will go to join General Sherman at the Southwest. Yesterday—Sunday—-the 26th instant, the entire armies of the James were reviewed by Old Abe Lincoln and he rode along the lines with his hat off and such cheering and playing of national airs by the bands I never shall forget. ¹ So you see, there are something up. I received a letter from Mr. Henszey today a week ago, and he gives me excellent advice, and speaks well of you and also my dear Mother—also his photograph was enclosed in the letter and it was a most beautiful picture and I prize and love it. Give my respects to yourself and all the family—especially my dearest Mother. And God knows when I will be able to write home again, but I assure you that I will try to write anyhow. Answer soon as possible. You may cease sending papers to me until further notice. 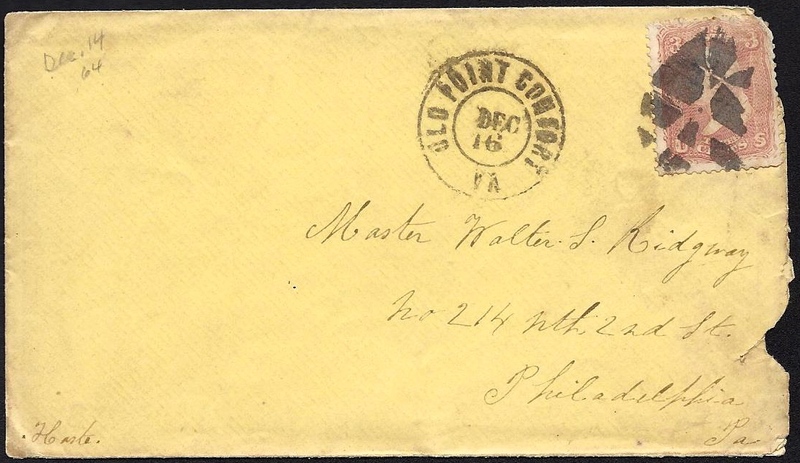 Tell Walter not to forget to write to William Cunningham [of Co. K], one of his college mates, who is the adjutant clerk of this regiment. Goodbye. God bless you forever and ever, amen. ¹ According to the “Lincoln Log,” President Abraham Lincoln was at Gen. Grant’s Headquarters on Sunday, 26 March 1865, and was scheduled to start up the James river at 11 A.M. After breakfast, President Lincoln went to General Ulysses S. Grant’s headquarters after which he watched General Philip H. Sheridan’s troops cross the river at Harrison’s Landing, Va., reviewed the naval flotilla, and then reviewed General Ord’s division near Malvern Hill. The 199th Pennsylvania was in Foster’s First Division of Maj. Gen. E. O. C. Ord’s Twenty-fourth Army Corps. I have another letter from Ridgeway. Can you tell me if this one is for sale anywhere? You can send scans to wjgriffing@comcast.net and I will get them.